Buxton and Edale mountain rescue teams were called to help an Australian lady who had dislocated her ankle while walking on Mam Tor at the weekend. 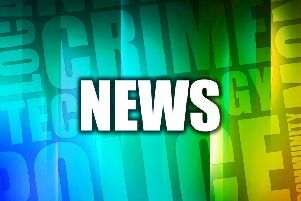 The 57-year-old, who was visiting relatives in Sheffield, slipped on the wet and muddy grass. She was airlifted to the Northern General Hospital, Sheffield, for treatment. The teams were also called out in the early hours of Thursday morning to help with the search of a 17-year-old man from Halifax who became lost on Bleaklow. The Woodhead and Glossop teams were also called along with a number of Search and Rescue dogs. Team members used team vehicles to drive as far as possible to access the moorlands of the Upper Derwent Valley and by sounding their sirens and showing blue lights, the missing person was able to hear them. Edale team members finally located him near to Grinah Stones at 3am. He was given a hot drink and food before being walked back to the vehicle and driven off the hill, arriving at the Edale team base at 4.45am. West Yorkshire Police then returned him home.